USB 3.0 has become the defacto peripheral interface for computers, tablets and smartphones. When it was first announced, it took a while for the standard to eventually get implemented. While the interface is certainly fast, there is room for improvement. USB 3.1 was announced back in 2014 but only at the beginning of 2015 are we starting to see devices implement what seems to be a minor update which is in fact much bigger. So what exactly does USB 3.1 add and why is it going to become the next major interface standard? Officially called USB SuperSpeed+, the USB 3.1 standard is meant to be an extension of the current 3.0 version. When first released, USB 3.0 was very fast at 4.8Gbps which was practically ten times the speed of the previous USB 2.0. The USB 3.1 specification does increase the speed up to 10Gbps which is just over two times the 3.0 speeds. This is not as big of a speed jump but it does help it keep a bit more inline with other peripheral interfaces like ThunderBolt which started at 10Gbps but has increased to twice that with its 2.0 version. Now, USB 3.1 interface ports should be fully compatible with the previous standards at their slower speeds but there may be an issue where you might need to get some new cables. The USB 3.1 specification brings with it a new connector type. 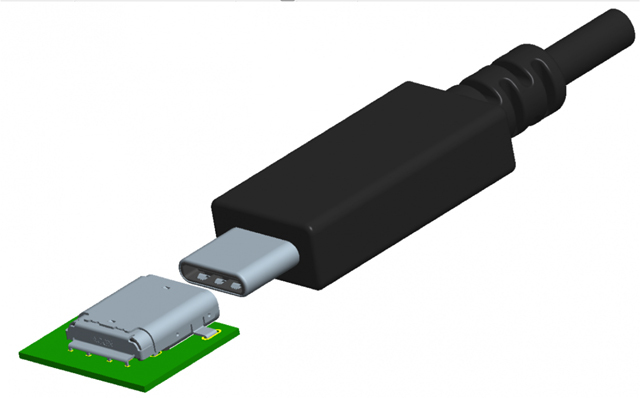 USB 3.0 did propose a new connector type but in practice it was never used because it was not practical as it used something similar to the large USB B style connector. The new Type C connector brings with it new features but also differs from the previous Type A and Type B. Unlike the failed USB 3.0 connector, this one will likely be a success because of its capabilities. In terms of size, it is smaller than the standard Type A connector but larger than the mini-USB used on many smaller peripherals and devices. This could be a problem for some extremely thin devices but the advantages might outweigh the extra size. USB ports and connectors have always been keyed to only fit in a specific direction. The Type C connector brings to it a reversible design similar to that used by Apple's Lightning connector. Basically, you can plug the cable in either way and it will automatically sync the proper pins and function. This makes connecting devices much easier to chargers or other devices. The Type C connector is compatible with the older USB 3.0 and USB 2.0 devices. Now the connector is a different size so it will be necessary to either have and adapter to convert a Type C to a Type A connector or you will need to get a special Type C to Type A cable to connect two devices with different connectors together. Probably the most significant change to USB 3.1 is tied to the new Type C connector. Previous versions of the USB specification has been extremely limited in the amount of power that it will provide to devices. This was not an issue when it was primarily used for external peripherals like mice and keyboards. The problem is that USB is now becoming one of the prominant ways to also charge up mobile devices like smart phones. The 900mAh limit of the original USB 3.0 meant that many devices were taking forever to charge over the USB data cable. Under the new specifications, devices using the Type C connectors will be able to supply additional power over the 5V lines. The baseline 900mA power will still be provided by the USB 3.0 specifications but an additiona 1.5A and 3.0A can be supplied. This should help speed up the ability to supply power for charging mobile devies and better running external peripherals over the bus such as portable hard drives which may require adapaters pulling power from two USB ports. The new Type C connector of USB 3.1 also brings additional power capabilities with USB Power Delivery. What this does is define additiona USB pins for 12v and 20v power over the cable. Depending upon the voltage lines and profile used, the new profile and cables can supply up to 100 watts of power. This is enough power that the USB 3.1 connection with a Type C cable could also be used as a power supply cable for a high powered laptop. Mind you, that same cable could also be used to carry data back to a USB hub built into the power adapter. This is extremely beneficial because it provides a standard small power connect that manufacturer's can use but also makes it for more universal power supplise for laptops as well. Even though the USB 3.1 standard does not have a huge increase in the speed of the data it can transport, it is a huge improvement especially for mobile devices. Adoption of the connector might be mixed though. Consumers probably will not like it at first as it is yet another type of cable or connector that they will have to carry around. The convenience of being able to plug it in either way and the improved power support will likely make many consumers change their minds though. Let's just hope that the adoption of the new standard will be faster than USB 3.0 but once again it will likely take Intel and AMD integrating it into their chipsets in order for it to really take off.